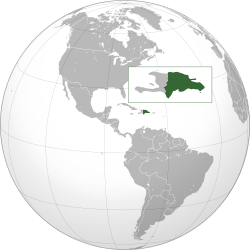 The Dominican Republic, a nation of almost eleven million, occupies two-thirds of the island of Hispaniola, southeast of Cuba in the Caribbean. Rich with agricultural and other resources, it is home to enchanting beaches, mountains, and tropical forests. Its vibrant mix of cultures has produced outstanding writers, musicians, and, most famously, baseball players. But in the Dominican Republic today, children and adults face widespread poverty, malnutrition, environmental degradation, lack of access to health care, lack of access to education, and minimal economic opportunity. Better education means residents have improved economic opportunities that in turn enable parents to provide more adequate food and health care for their children. Increased literacy also means community members can expand their informed participation in the Dominican Republic’s maturing democracy. The people in rural area, are people with little money. Land sustains them as it sustains their plants and animals. The region has suffered a great deal of environmental damage, much of it due to clear-cutting and use of toxic chemicals by large sugar plantations which have now closed down. This combination of land damage/economic abandonment has seriously weakened an already fragile rural economy. For this reason, an ecologically informed perspective is crucial to sustainable rural livelihoods. Also, eco-tourism is a promising form of employment for Dominicans. Tourism has been one of the most lucrative industries in the nation during the past decade, and eco-tourism has the potential for sustainable benefit to Dominicans on a local level. For this reason as well, a learning center that promotes and models care for the environment is an investment in the well-being of the communities of rural Dominican Republic or Spanish speaking side of Hispaniola. •Like Cuba, the official language in the Dominican Republic is Spanish. Make sure you aren’t left confused and take a phrasebook with you. •The Dominican Republic is home to an enviable array of rainforests and national parks. But be sure to take precautions against malaria, which may still be contracted in these areas. •Avoid drinking the tap water in the Dominican Republic and, unless in a luxury hotel, stay away from having ice in your drinks. Bottled or boiled water should be consumed instead. By playing safe, anyone can enjoy a fantastic holiday in the Dominican Republic, but if you’re a font of local knowledge, we’d love to hear from you. EXPLORE DOMINICAN REPUBLIC TAKING a customized, learning or just an outreach trip !! The Permanent Mission of Dominican Republic to the United Nations. Shaded Relief Map of the Dominican Republic. Zoomable satellite view of Dominican Republic. Zoomable satellite view of Santo Domingo. Resource for information regarding the Dominican Republic. News from the Dominican Republic (in Spanish). List of Radio and TV stations of the Dominican Republic (Spanish). A multifaceted artistic community with art exhibitions, craft workshops, and artistic presentations, and educational programs in art and design. The official internet portal to the Dominican Republic. Directory and tourist guide by the Ministry of Tourism. More official tourism information for the Dominican Republic. Travel Guide and Information Center. Vacation planner information on the country. Santo Domingo portal to the capital city of Dominican Rep. Regularly updated travel advice provided by the governments of various countries. Information on Dominican Republic’s 16 national parks, nine natural monuments and six scientific reserves. Elaborate history of the Dominican Republic from the time of Columbus’ discovery until today. Dominican Republic online information resources.